The global aluminum curtain wall market was valued at USD 25.1 billion in 2017 and is anticipated to grow at a CAGR of more than 9.3% during the forecast period. An aluminum curtain wall is a thin aluminum-framed wall, which contains in-fills of glass, metal panels, or thin stone. This frame is attached to building structures and does not carry the floor or roof loads of the building. Use of aluminum curtain walls enhances the energy efficiency of buildings while reducing HVAC costs. The demand for aluminum curtain wall has increased over the years owing to increasing environmental awareness and growing trend towards energy efficient buildings. The growth in construction industry and rising need to protect exterior walls of structures drive the growth of the market. The increasing construction of commercial structures such as factories, offices, and institutions supplement the growth of the market. The increasing demand for energy efficient building solutions, and moisture management in buildings along with introduction of innovative aluminum curtain wall products in the market at competitive prices by market players further augment market growth. Stringent government regulations regarding energy use, reduction in operation costs, and trend towards green buildings also boost the adoption of aluminum curtain walls. Growing demand from emerging economies, increasing consumer awareness, and growth of eco-friendly infrastructure are factors expected to provide numerous growth opportunities in the coming years. The global aluminum curtain walls market is segmented on the basis of type, application, and region. Based on type, the market is segmented into stick-built, unitized, and semi-unitized. On the basis of application, the market is segmented into residential, commercial, and public. 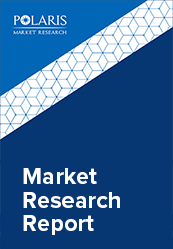 This report comprises a detailed geographic distribution of the market across North America, Europe, APAC, Latin America and MEA. North America is further segmented into U.S., Canada, and Mexico. Europe is divided into Germany, UK, Italy, France, and Rest of Europe. Asia-Pacific is bifurcated into China, India, Japan, and Rest of Asia-Pacific. Asia-Pacific accounted for the largest share in the Global Aluminum Curtain Wall market in 2017. The leading players in the market include EFCO Corporation, HansenGroup Ltd., Kalwall Corporation, National Enclosure Company, Sapa Building Systems Ltd., Ponzio Srl, Kawneer Company, Inc., Josef Gartner GmbH, GUTMANN AG, Alumil Aluminium Industry S. A, HUECK System GmbH & Co. KG, and Schüco International among others. These leading players in the market are introducing innovative products in the market to cater to the consumers. Global players are entering new markets in developing regions to expand their customer base and strengthen market presence.